Lizardfish feeding on a Red Hind. Turneffe Atoll. Sort of amazing though that the hind couldn't get free, it's facing the right way to just swim out the lizardfish's mouth. 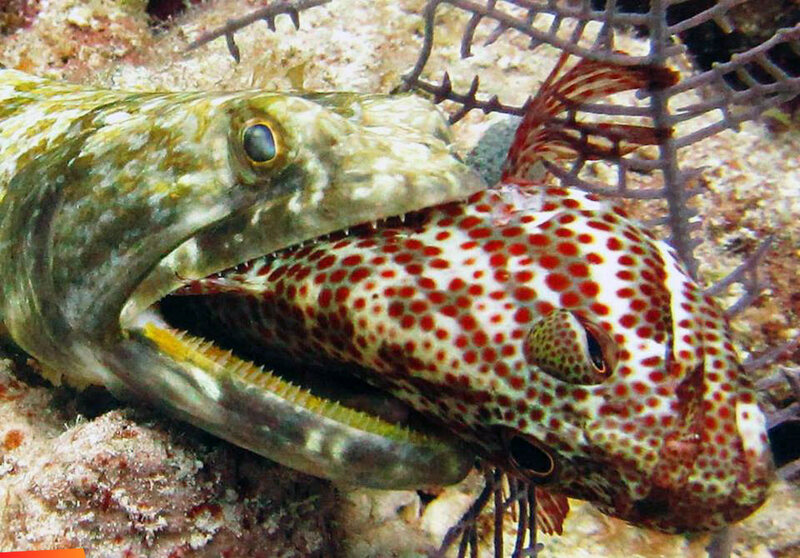 The lizardfish must have some mean pharyngeal teeth into the hind end of the...hind. While nearly all other fish have only one hind end, a Hind has two! !